Alaska Wild Gear provides top quality clothing for your outdoor experience. Come and visit our second store, Trustworthy 2 to stock up before your next adventure. Check them out here: Alaska Wild Gear . Willie Boats is the proud manufacturer of the finest aluminum boats in the world, and supporters of Soldotna’s youth through our annual Willie Boat Raffle. 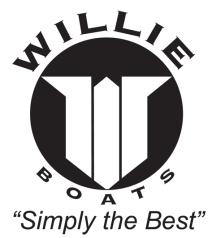 Check them out here: Willie Boats . If you want to make your Alaska Dream come true, hit up Kenai Riverfront Resort. Also, without them, this website would not be possible. Check them out here: The Alaska Dream . High Quality Rods and apparel. Check them out here: G-Loomis . Soil Science Products makes a natural and vegan fertilizer that replenishes the the nutrients the soil loses when plants are harvested. Come and grab a bag at Trustworthy and try it out! Find more information here: Soil Science .